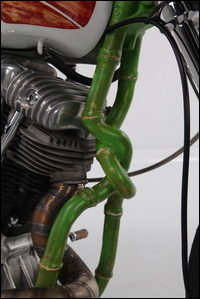 Hand made : gas tank, fenders, pipes, chassis, seat, pipes, fuel cap, counter. 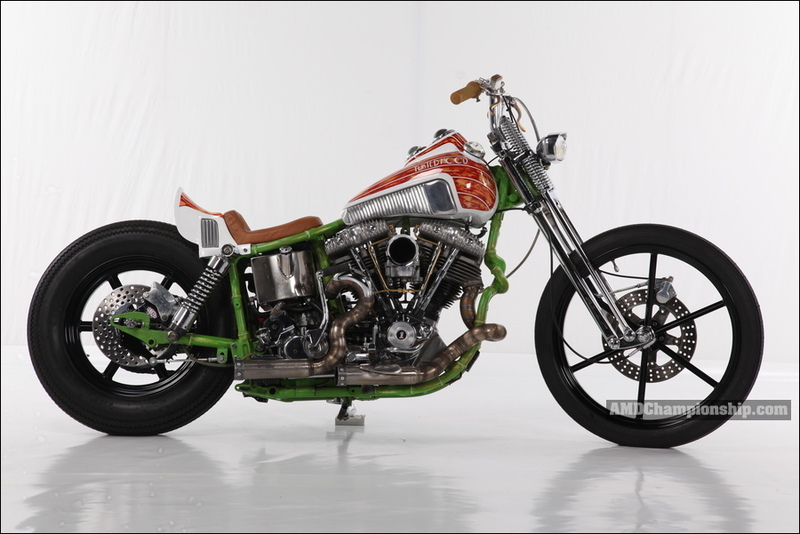 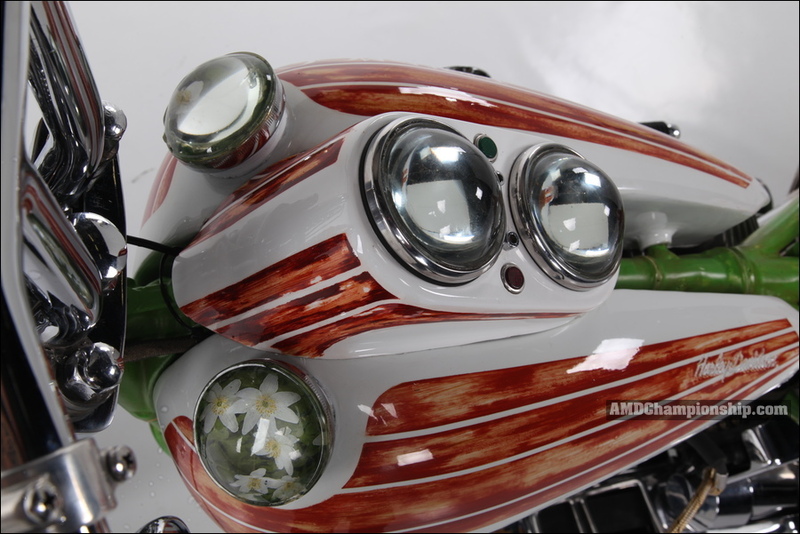 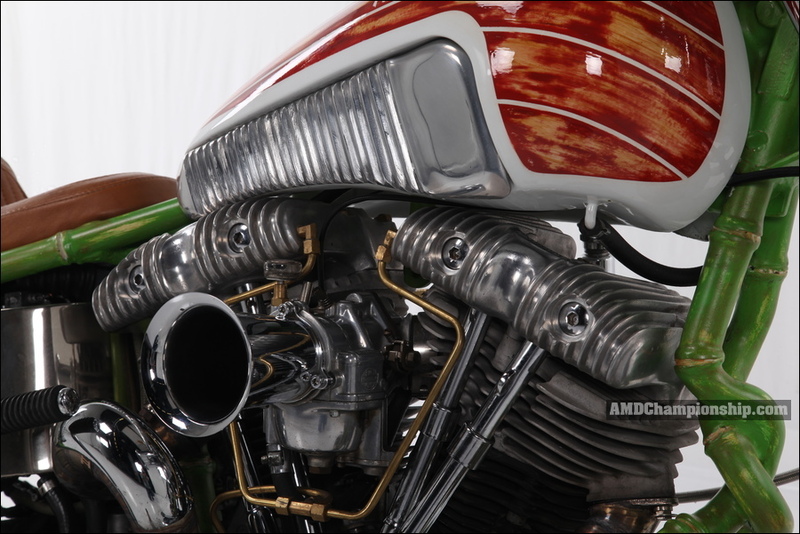 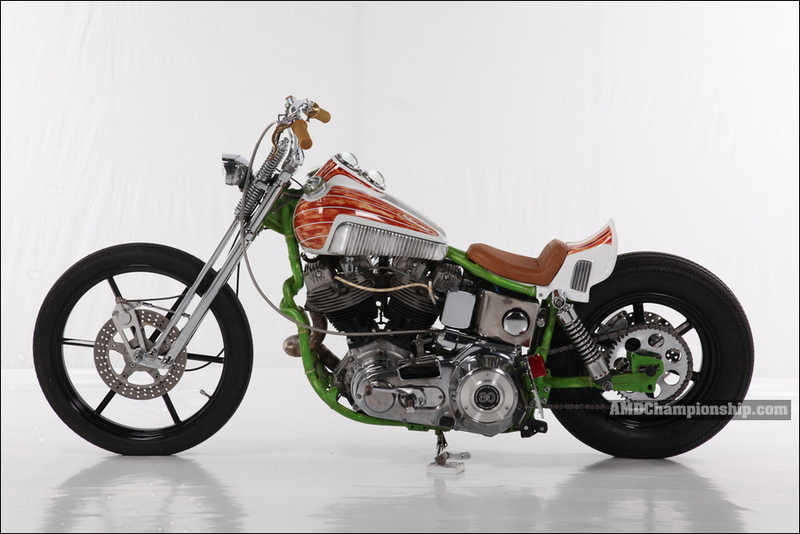 Panhead integrated in a mixture of wood, steel and bamboo. Big work of solder for the chassis and the pipes.